Dr. Stephen I. Kramer, Professor Emeritus at Wake Forest Baptist Health Sciences and Field Representative/Physician Surveyor at The Joint Commission, has been selected to the American Health Council as a “Leader in Medicine”. With over 30 years in the healthcare industry, including 28 years at Wake Forest, Dr. Kramer shares with the AHC his expertise in Forensic Psychiatry and Neuropsychiatry. 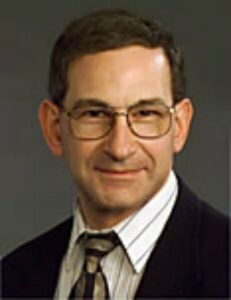 Graduating from Jefferson Medical College with his MD in 1978, Dr. Kramer completed an internship in Internal Medicine at Norwalk Hospital (1979), and residency in Psychiatry at Yale-New Haven Medical Center (1982), where he additionally held a Fellowship and Chief Residency in 1983. Dr. Kramer became involved in his current profession after volunteering as a patient transporter one summer in high school, and later experience as a research technician at the Wistar Institute of Anatomy and Biology, which inspired him to become a doctor. He attributes his continuous success to his superior and inspiring teachers, along with the relentless strive to excel in everything he does. At Wake Forest Baptist Medical Center, Dr. Kramer continues on a part-time basis engaged in faculty development, training residents and medical students, and direct patient care. He also inspects hospitals for quality and safety around the country for The Joint Commission, which accredits and certifies nearly 21,000 health care organizations throughout the United States. Dr. Kramer is honored to have been twice presented with The President’s Award from the North Carolina Psychiatry Association. He is also a Distinguished Life Fellow of the American Psychiatric Association, and has been garnered with Teaching Awards from the Department of Psychiatry at Wake Forest Baptist Medical Center. He is also a member of the Winston Salem Symphony Board of Directors. Within the next 5 years, Dr. Kramer is making it a goal to work on suicide risk reduction at his hospital, as well as serving on an expert panel for The Joint Commission, conducting more surveys as a Team Leader and Preceptor, and continuing service to the American Board of Psychiatry and Neurology on its test construction committees. In his spare time, Dr. Kramer enjoys listening to music and playing violin. He is charitably associated with Temple Emanuel in Winston-Salem, North Carolina. Wake Forest Baptist Medical Center is a nationally recognized academic medical center and health system based in Winston-Salem, NC. The institution comprises Wake Forest School of Medicine, a leading center for medical education and research; Wake Forest Baptist Health, the integrated clinical structure; and Wake Forest Innovations, which promotes the commercialization of research discoveries. Clinical facilities include North Carolina Baptist Hospital, Brenner Children’s Hospital, and a network of affiliated community hospitals, physician practices, outpatient services and other medical facilities.